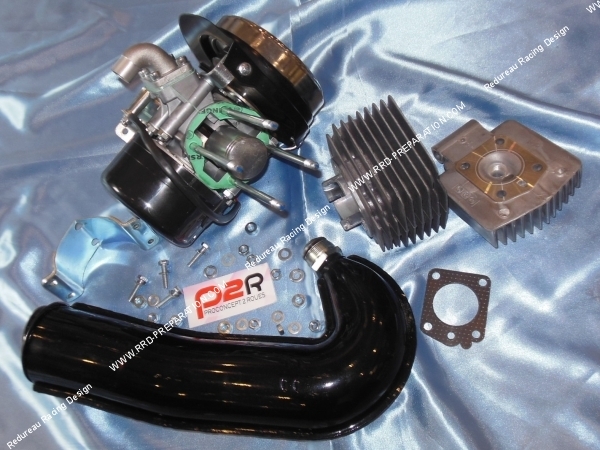 Engine assembled original type, ideal for those who do not want to fully repair their engine! 256,06 € 256.06 tax incl. 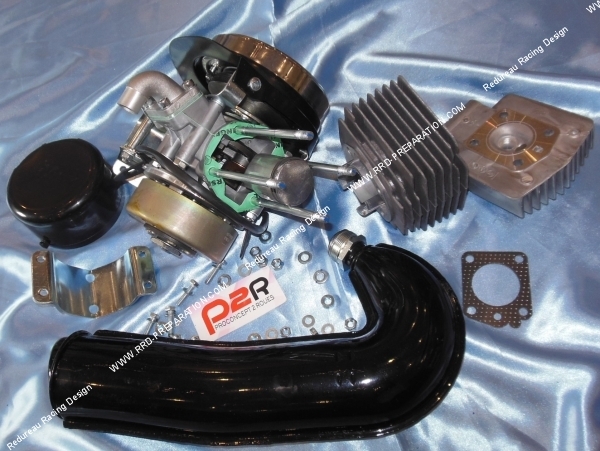 P2R offers a good compromise to start again with a 100% complete engine! Origin type, its quality, its design and its study are very good.Beware, some unscrupulous sellers put their picture with carburetors! 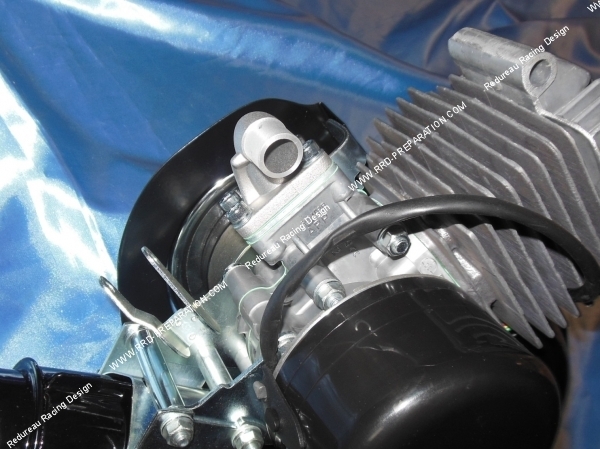 These engines are never delivered with carburetor but as in our photos! With its Ø39mm, nothing is changed or improved. 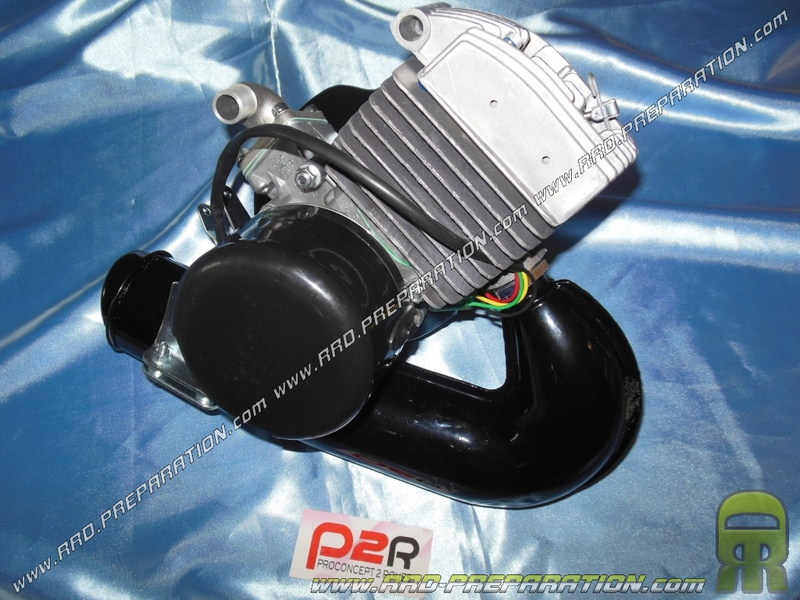 The original aluminum cylinder is equipped with 3 intake transfers, the cylinder head is of origin type as well as the two-piston piston; the RRD team appreciated the overall finish which is excellent. The casings also, the aluminum used for this block is of quality and will offer a good cooling of the engine. 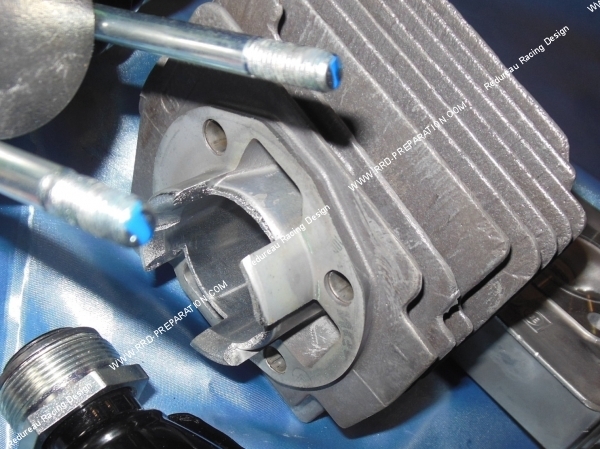 The crankshaft that equips this engine is a normal original linkage, in bristles of 16mm. Bearings and spy joints are of course mounted and supplied. 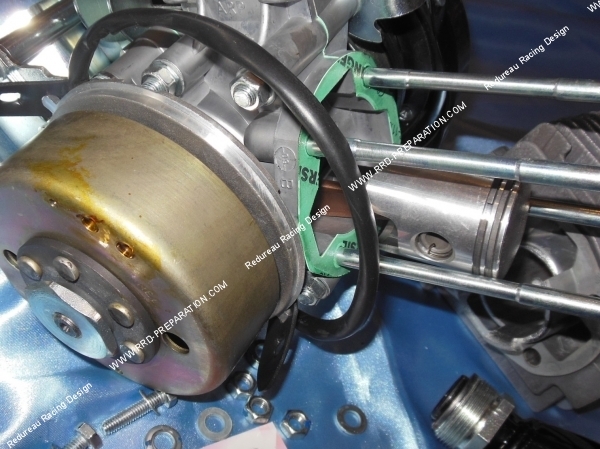 The clutch is also mounted on the engine and comes with. Good quality too, it will allow good hooks during your starts / accelerations. On the "ignition" side, the equipment is also very good and well studied.It's original type, it will not bring you more performance than an origin but will be just as reliable. 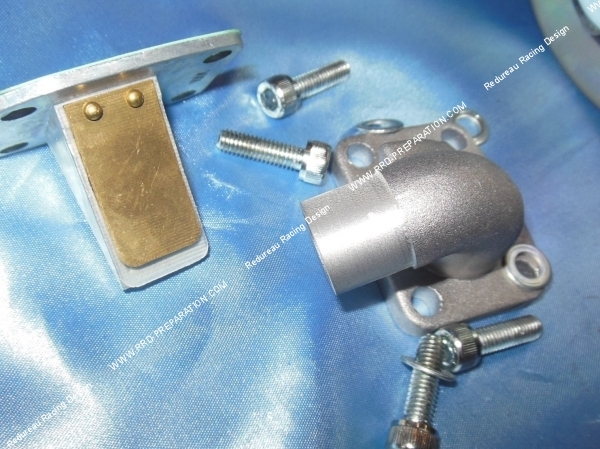 The admission is accompanied by a pipe type original diameter 15mm and original fiberglass valves too, so you can install your original carburetor type SHA. 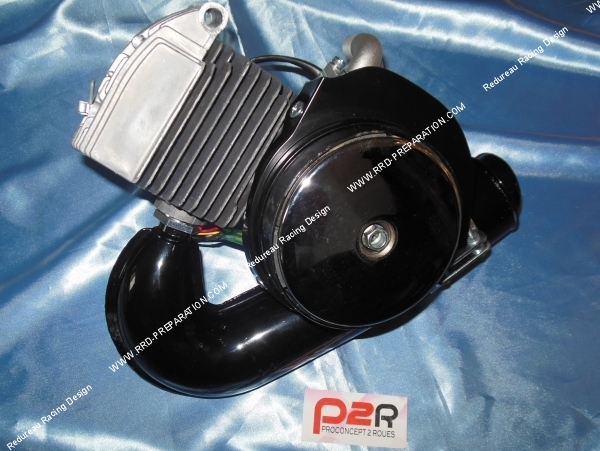 The exhaust is repainted in a brilliant black high temperature, it is also of good quality. It will not offer you more performance than an origin since it is of origin type too. 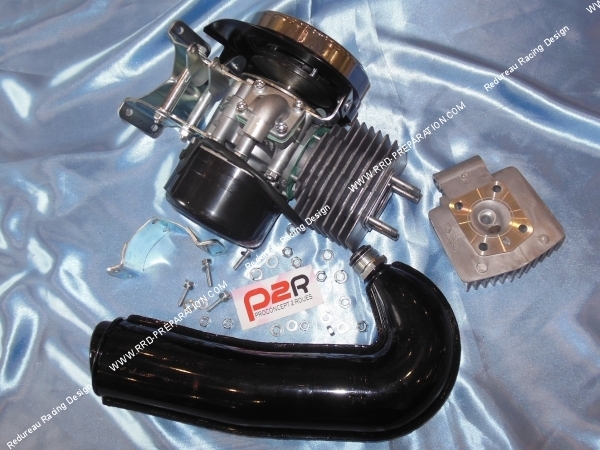 You will understand that this complete engine assembled is a very good compromise between price / quality / reliability! It's ideal for those they want to start on the new one completely without worrying about breaking down at any corner. As an option, we offer you a STAGE 1 preparation, this preparation includes a selection of the best part of our stock, a clear improvement of the shape and the exhaust diagram, an alignment of the admission as well as a special touch-up of the skirt and piston according to our best tests. This preparation requires an additional delay of 2 to 10 days depending on our availability! It requires tools and about 1:30 working on this cylinder. The price is accordingly.